Benvenuti al divertimento stile Colorado Winter Park! La nostra vacanza l'anno di montagna famiglia ha grande accesso allo sci, mountain bike, trekking, tubbing caldo, nuoto e molto altro. Si tratta di una 'base' economici ma ideale per la tua famiglia e attività di montagna amici. Dormire sei comodamente, il nostro recentemente aggiornato 'Alpine Lodge' è situato vicino alla skibus gratuito, Club Meadowridge, ea pochi minuti da vecchi negozi e ristoranti di Winter Park. Ogni membro della famiglia può avere la loro scelta di attività. Dopo una giornata attiva, rilassarsi e godersi l'atmosfera privata della nostra unità al secondo piano con il suo ampio soggiorno e camera da letto matrimoniale, soffitti a volta, accogliente angolo lettura, muschio camino roccia, e viste spettacolari su Continental Divide. Oppure visitate Club Meadowridge e rilassarsi nelle vasche idromassaggio o giocare nella sala giochi. Posti letto includono una camera da letto matrimoniale con un letto matrimoniale; una seconda camera con letti a castello e un letto singolo; e un soggiorno con una full size divano letto matrimoniale. - Accesso gratuito al Club Meadowridge inclusa nel prezzo. - Armadietto esterno per gli sci. - Parcheggio di fronte dell'unità. - Pulizia partenza inclusa tariffa. - Pagamento tramite assegno accettato. Great condo for our family ski trip! The condo was perfect for our family ski trip to Winter Park. The condo was clean with comfortable beds and plenty of space. We all enjoyed the clubhouse following each day. Thank you for sharing your home with our family! The condo was in a great location. The grocery store was minutes away and the free shuttle (the Lyft) picked up right in front. The kitchen was well stocked and condo nicely furnished. We enjoyed our visit and would definitely stay there again. 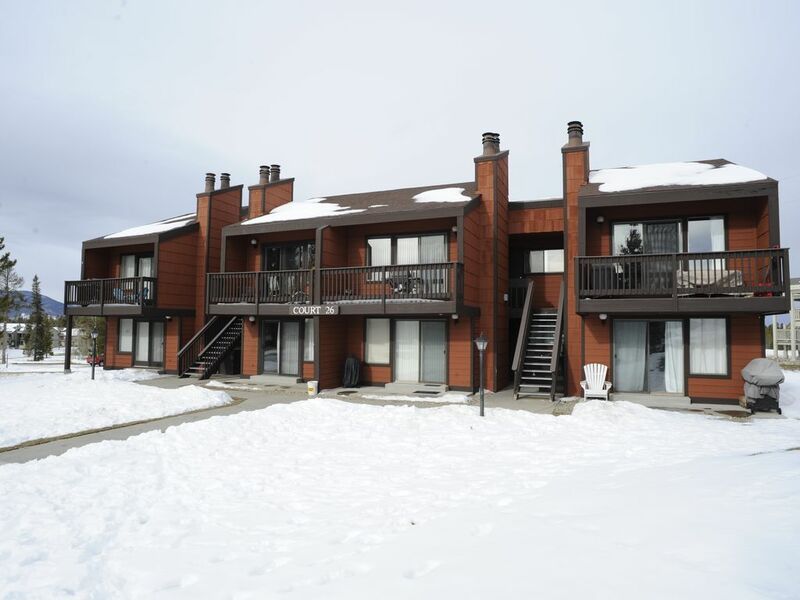 Condo was clean, well supplied kitchen, close to town, quiet, warm, comfortable and the kids loved the community hot tub and pool. Pretty much checked all the boxes. Would absolutely stay again. We booked this condo having never been to this area, so we weren’t really aware initially how convienent it was. We really lucked out. It’s so close to everything: snowmobiling, skiing, tubing, dining, shopping, or whatever else you want to do here. There were only three of us, but with all of the beds it could comfortably sleep 5-6 people. The view from the living room was beautiful, and we loved drinking our morning coffee as the sun came up. We loved our stay here and will definitely be back. This condo was a great choice for or vacation in Colorado. It was cozy, the kitchen was as well equipped as mine at home. It was impeccably clean. The location was close to everything but not in the middle of the tourist traps. The neighborhood was quiet, the neighbors are friendly, the clubhouse has a great little gym and laundry facilities. I recommend that you plan on cooking while in Winter Park, the restaurants had extremely long wait times for just ok food. With this condo cooking was a breeze! If we go back to Winter Park, I have no doubt that we would stay here again. Thank you so much David! This property is well furnished, well maintained, comfortable, arranged efficiently and up to date. The reservation process was easy and efficient. This property is much better than similar condos in this area. The price is reasonable and the owner / agent great to work with. We own VRBO property and this is exactly how rental property should be handled. The website pictures are accurate, the beds comfortable, and the living room furniture comfortable and nicely arranged. Adequate paper products, seasonings, linens, blankets, kitchen utensils, and electronics are provided. It is not a luxury mansion, but it is comfortable, well decorated, and adequately supplied for friends and families with kids. Security deposit will be returned after the unit is cleaned and checked.